The Gilbert + Tobin Centre believes in the importance of academic contribution to public and political debates about legal affairs. The making of formal submissions and giving of oral evidence to parliamentary and other committees of inquiry is one way its members seek to do this. However, it should be made clear that the views expressed in the submissions listed below are the authors’ own and do not necessarily represent the views of other members or affiliates of the Centre. Submission to NSW Expert Panel on Political DonationsInquiry into Political Donations (26 August 2014). Submission to the National Human Rights Consultation Committee on refugees and asylum seekers (McAdam and Garcia, June 2009). 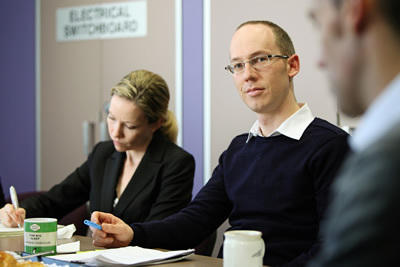 Centre staff make a submission to the NSW Ombudsman’s Office Review of Parts 2A and 3 of the Terrorism (Police Powers) Act 2002 (NSW) (13 June 2007). Submission to Legal, Constitutional and Administrative Review Committee, Queensland Parliament on Inquiry into Aboriginal and Torres Strait Islander Peoples Participation in Queensland’s Democratic Process’ (10 April 2003).